While I was in Sydney recently for the amazing SCBWI National Conference and subsequent PD Day for teachers at the State Library, I heard something about me (and my books) which I had not realise. See, I knew some of my books were on the reading list for the NSW Premier’s Reading Challenge, an amazing challenge which sees students across the state reading a wide range of books from a curated list. What I hadn’t realised was that I have books on each of the four lists – for ages from Kindergarten to Year 9. How exciting – and what an honour. For more information about the NSW Premier’s Reading Challenge, visit the site here – and get reading! Welcome to the fourth edition of Teacher Tuesday, where I match one of my books to a year level, and offer some activities for sharing the book in the classroom. In previous weeks I shared activities for Looking Up, Do Not Forget Australia and The Floatingest Frog. This week, with Christmas getting ever closer, I’m focusing on a Christmas book: Snowy’s Christmas. And, because this book can be a little hard to get hold of, I am also offering signed copies, posted anywhere in Australia, for $15. You can contact me directly. Available directly from me. Contact me HERE. Blurb: ‘Snowy hopped to the billabong. The face reflected in the water was not rugged and red like the other roos, but soft and white.’ Snowy is feeling left out and doesn’t want to celebrate Christmas with his friends. But then a mysterious stranger arrives by the billabong and suddenly Snowy’s Christmas is looking up. 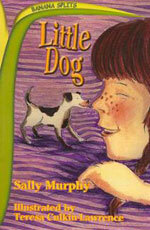 Sally’s Recommended Grade Levels: Year K-3, but these suggestions focus on Year 2. Before reading: Look at the front cover. Explain that Sally Murphy is the author and David Murphy is the illustrator (As an aside, because students may ask, David is Sally’s brother-in-law). Discuss: What does an author do? What does an illustrator do? 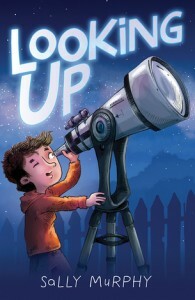 Prompt students to look closely at the illustrations while the story is read, looking for anything that ways the words and pictures show the same things, and ways that the pictures show something different or extra. During reading: First read-through – read whole story without asking questions. Let students enjoy the story. 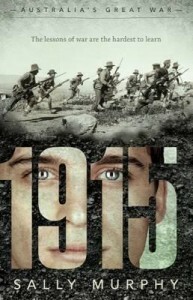 After first read through: ask students to name any differences/similarities they saw. Re-read, prompting students to look especially at the kangaroo characters and what their various facial and body expressions show about how they are feeling. As students contribute, discuss which expressions reflect the words, and which add to or even contradict what the words are saying. After Reading: Have students divide a sheet of blank paper into four. In each square students draw a picture of Snowy feeling a different emotion: sad/surprised/excited/happy. 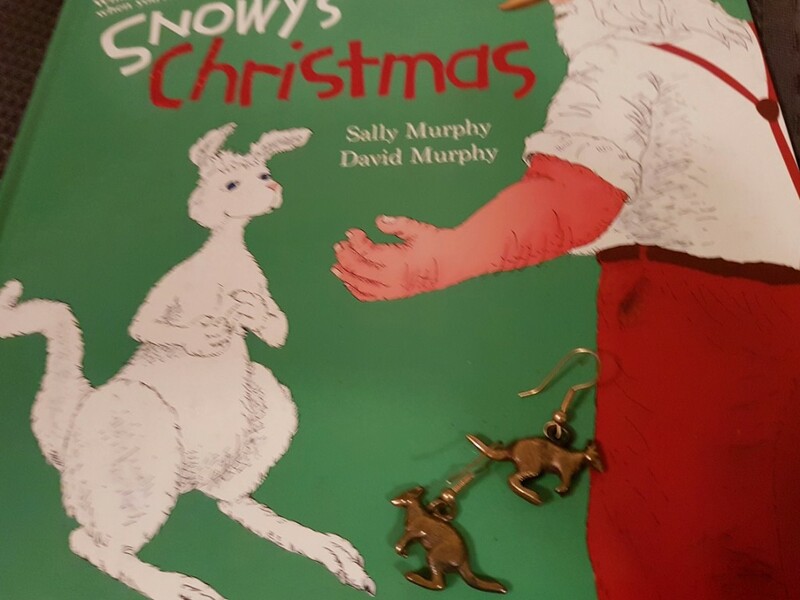 Reread story, or simply view the pictures, asking students to identify anything happening in the pictures which is NOT part of the story of the kangaroos and Santa. 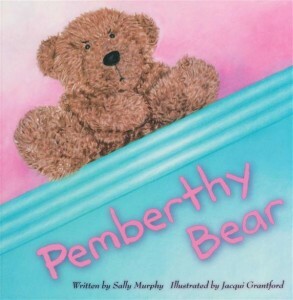 As you read, build a list of the various animal characters shown in the book – koala, wombat, echidna etc. If you have multiple copies of the book, this could be down in groups. If only one copy is available, it can be a whole-class activity. 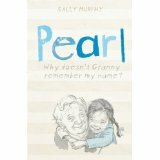 Discuss: Why do illustrators – and in this case, David Murphy – include details in the pictures which are not in the words? Does it add interest? Does it make the story easier to understand? Art: Have students draw/paint animal characters. Alternatively, provide preprinted animal stencils (there are a good range on this site HERE). These could be cut out as classroom decorations. For the following activities, a picture book version of the story of Rudolph the Red-Nosed Reindeer is needed. Before reading: Ask students to listen carefully to the story, prompting them to consider whether it is similar to another book they have recently heard. After Reading: Discuss – are there similarities between Snowy’s Christmas and Rudolph the Red-Nosed Reindeer? Explain: Sally Murphy wrote Snowy’s Christmas as an attempt to tell an Australian version of the Rudolph story. In Groups/Pairs: Students to complete a table noting how the two books are similar or different in areas including: Plot – Beginning, Middle, End/Characters/Setting/Illustration Style/Other. Groups to discuss which book they prefer, giving reasons. Report back to class and discuss. Writing: As a class, or in groups, work to rewrite another Christmas story or song into an Australian version. For example, the story of Frosty the Snowman. Writing: What happens next? Students write a story about what happens to Snowy after Christmas. Does he go back to live with his mother? How do the other kanagaroos react? Does he have any more adventures? Art: There are many ideas for Christmas and Kangaroo activities available online. For example, make this kangaroo planter as a pre-christmas craft activity. Email the author (that’s me!) Your students can write to me through this website, and share their responses or ask questions. Mostly, I’d love to remind you that while I love to see my books used in classrooms, I also love to see kids just enjoying them. Reading a book should be pleasurable – whether it’s being used in the classroom or not. So allow your students to enjoy reading Snowy’s Christmas. 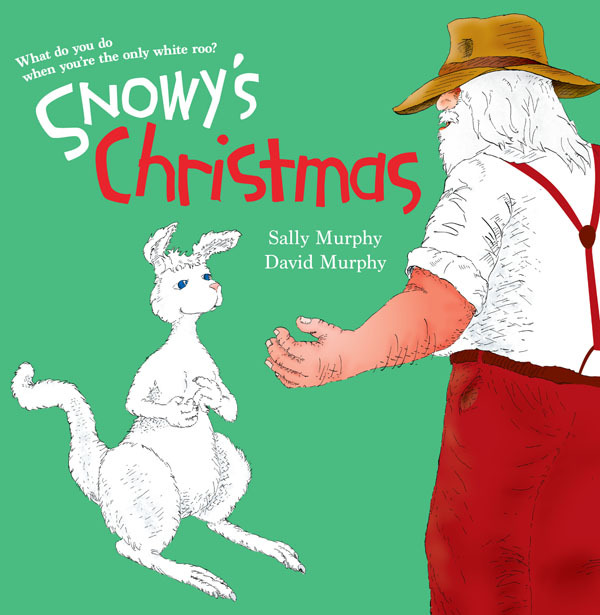 And, if you do want a copy of Snowy’s Christmas I am offering signed copies, posted anywhere in Australia, for $15. You can contact me directly. If you find this useful, or have any suggestions or comments, do leave a comment. And, if there is a particular book or year level or topic that you would like covered in a future edition of Teacher Tuesday, let me know. Just a quick note to let you know that I am having a sale of three of my backlist titles over on Ebay. So head over and pick up a bargain – or, if you’d prefer to by direct, send me an email. 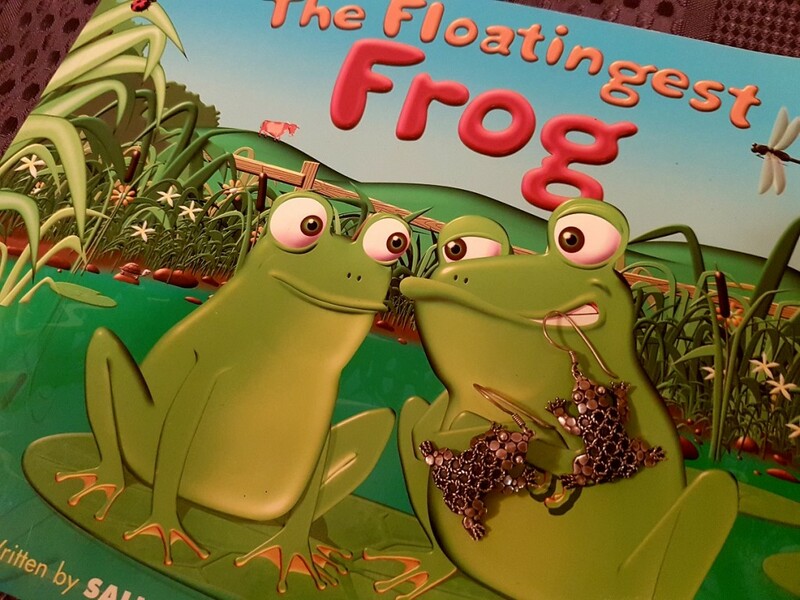 Over the years I have had a lot of fun sourcing jewellery that matches my various books. 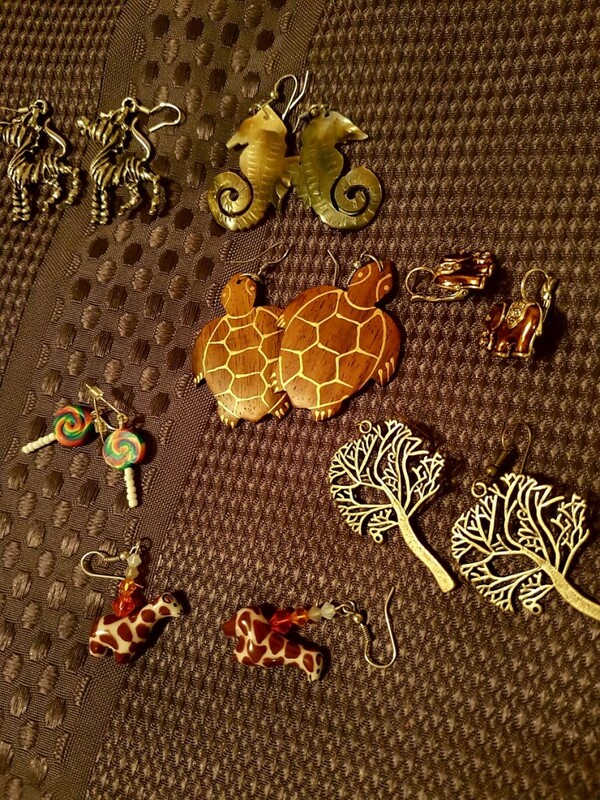 There were frog earrings for The Floatingest Frog. 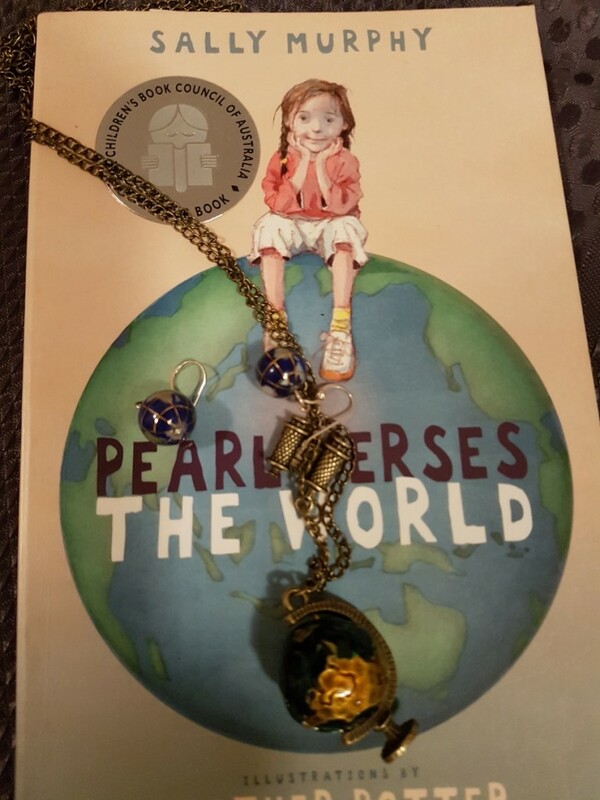 There was a necklace and earrings featuring the globe for Pearl Verses the World. 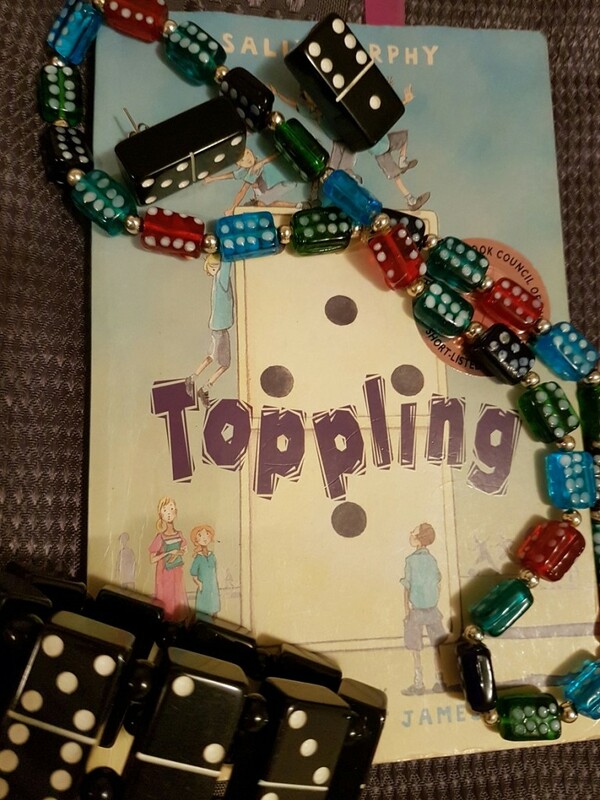 Toppling had a necklace (which I made myself) plus earrings and a bracelet. 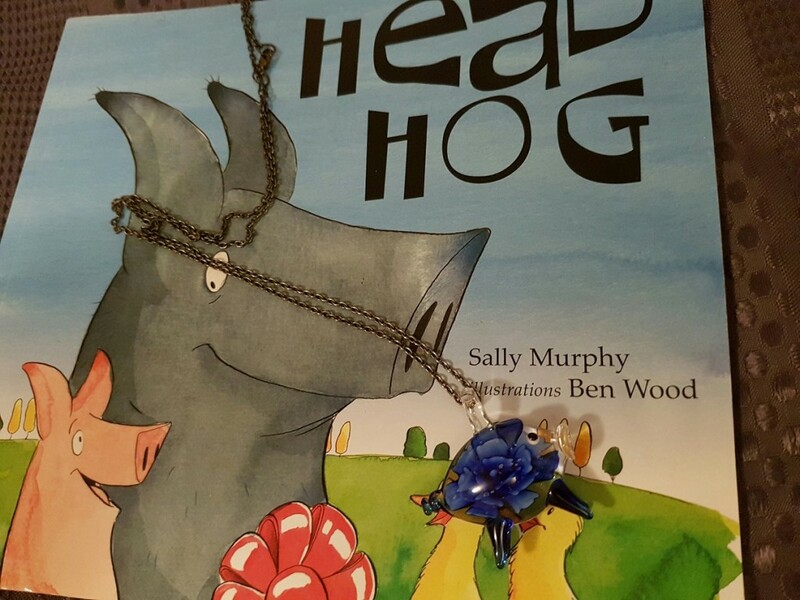 Head Hog had a necklace with a blue glass hog. 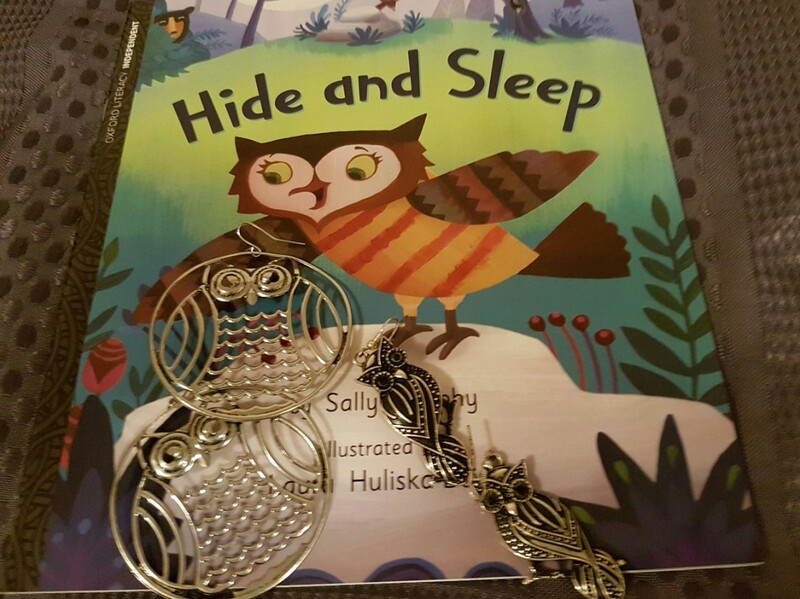 Hide and Sleep has two pairs of owl earrings. While Snowy’s Christmas had kangaroo ones. 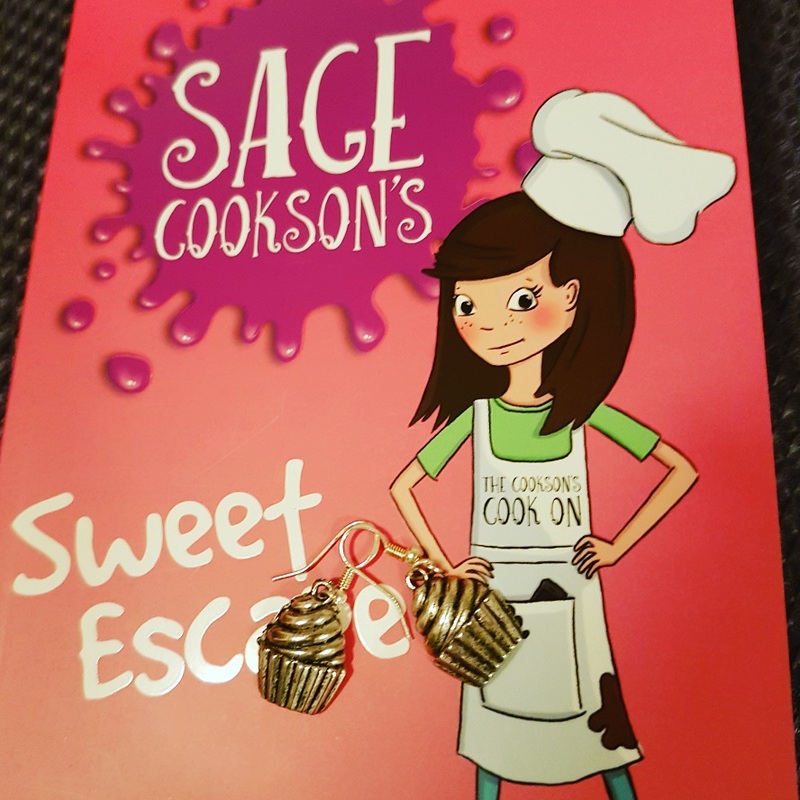 But, today, the postie brought me a little package with my latest earring purchase – and just in time, because these ones are to match Sage Cookson’s Sweet Escape, which is released tomorrow. Guess when I’ll be wearing them? My beloved brought home some mail from our other house on the weekend, and I was delighted that one of the packages contained author copies of Snowy’s Christmas – in Korean. It’s my first ever foreign language edition – though there have been UK and US versions of some of my books – so it was a novel expereince seeing my story in a form I can’t actually read – in spite of looking almost the same as the Aussie version. You can see there’s only minor differences. 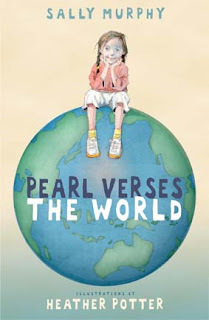 The gold star on the Korean version says ‘World picture book’ in English – with some Korean text which I presume says the same thing. And the publisher’s logo is on the top corner. Apart from that there’s a tiny difference in the shade of green used. Internally, it’s hard to spot the differences, but I would love to know how the translated version reads. I absolutely adored the first cover, but love the second one too – in fact, I think, equally. Tomorrow is a special day – December 1, the start of Advent, and officially time to start preparing for Christmas. Yippee! I’ve said it before and I’ll say it again – I LOVE Christmas. But of course, I’ve been a bit naughty (shhhh – don’t tell Santa) and have been celebrating Christmas for the past 11 days here on this blog, and elsewhere. My excuse is a good one -I’ve been celebrating not just Christmas in general, but also the release of my Christmas book, Snowy’s Christmas in paperback. But all good parties – and all series repeats – must come to an end, and today marks the final stop in my rerun blog tour. Today I take you back to the final stop in last year’s blog tour, and a post which brought joyful, Christmassy tears to my eyes. My delightful friend Mabel, took Snowy to a school near her, and this blog post is the result. Awww – isn’t that just lovely? Thank you so much for joining me on this trip down memory lane, this Christmas party and this celebration of Snowy’s Christmas paperback release. Remember, if you want a lovely Aussie Christmas gift for a child in your life, the book is available in brick and mortar stores, as well as online.